Today, I woke to a thundershower. Which, usually, I don’t mind. Today, however, it’s dragging me down. The sky’s dark. The clouds are heavy. The air feels heavy! I almost didn’t blog. Can you imagine that? And I don’t want to write. Egads! What I’d really like to do is head into the living room, settle into a deep, soft chair, and watch a sad movie. 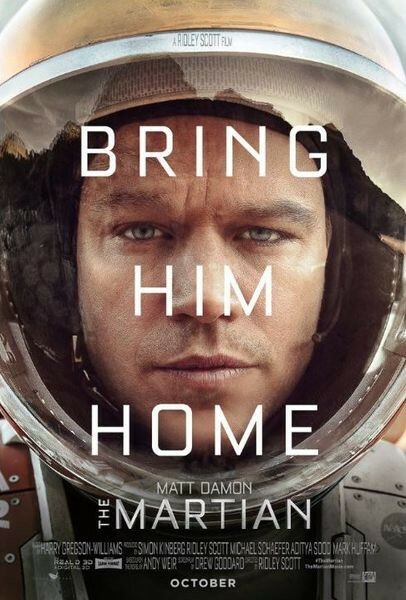 Then I want to follow it with another viewing of The Martian. Now, there’s a movie that inspires. Have you seen it? Yes, it’s a space adventure, a fantasy, but the feel of it is the same as the real-life space drama, Apollo 13, and Matt Damon makes it feel just as believable and urgent. You’re rooting all the way! So, maybe, that’s what I’ll do today. What’s your current pick-me-up movie?